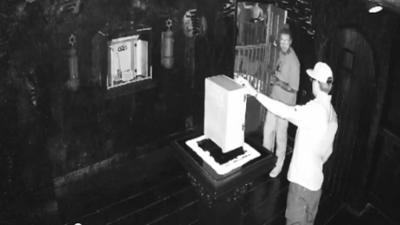 Post Malone seen messing with the "World's Most Haunted Object"
Video has surfaced of Post Malone hanging out at Ghost Adventures with Zak Bagans looking at the "World's Most Haunted Object" called The Dybbuk Box. Dybbuk is Yiddish for "malicious spirit" and the box had inspired the movie "The Possession." Well, according to Zak, Posty took off the protective case as you can see in the video. Post was freaked out and then triggered a curse when Zak touched the box and Post touched Zac. This might be explaining the series of unfortunate events he's been going through lately.